Bonn, 27 June 2016- Erik Solheim has taken up his appointment as the new Executive Director of the United Nations Environmental Programme (UNEP), replacing Achim Steiner, who served as Executive Director of UNEP for ten years from 2006. A former member of the Norwegian parliament and Minister for International Development and the Environment, Mr. Solheim is an established figure on the international stage, having acted as chief negotiator of the peace process in Sri Lanka as well as participating in peace negotiations in Sudan, Nepal, Myanmar and Burundi. "Our planet is vulnerable, but I'm optimistic we can resolve the environmental problems we face. There's little we can't achieve when we pull together with cooperation, collaboration and a can-do attitude," - Erik Solheim, Executive Director of UNEP and UN Under-Secretary-General. "Our planet is vulnerable, but I'm optimistic we can resolve the environmental problems we face. There's little we can't achieve when we pull together with cooperation, collaboration and a can-do attitude," said Erik Solheim in the UNEP press release announcing the start of his tenure as Executive Director of UNEP, with the concurrent position of UN Under-Secretary-General. Mr. Solheim has been active on behalf of CMS Family causes in the past. CMS veterans might remember that in November 2011 Mr Solheim opened the 10th Meeting of the Conference of Parties to CMS (COP10) in Bergen, Norway. At the CMS COP10 welcoming reception, he emphasized that Norway was built on migratory species, such as salmon and the reindeer which lured the original settlers of Norway away from their original homes in southern France. Mr. Solheim noted that the decline of migratory species – such as the globally threatened Lesser White-fronted Goose, a flagship AEWA protected species, has become a symbol for the alarming trends in our interactions with the natural world. In his 2011 speech, he argued for a way forward, with greater collaboration amongst environmentalists and greater involvement of the public, advocating greater efforts to reach out to business interests, not as adversaries but as partners in promoting wildlife around the world. He detailed the importance of securing broad public support for migratory animals and the agreements which protect them. “The CMS Family is looking forward to working closely with Erik Solheim, to continue to do all we can to work with countries and the wider environmental community to conserve the world’s migratory animals for future generations to come. Tackling the major environmental issues of our time such as ocean and air pollution, the destruction of ecosystems, loss of biodiversity and climate change is absolutely critical and will benefit both people and wildlife across the planet alike,” - Bradnee Chambers, Executive Secretary of the Convention on the Conservation of Migratory Species of Wild Animals (CMS). “The CMS Family is looking forward to working closely with Erik Solheim, to continue to do all we can to work with countries and the wider environmental community to conserve the world’s migratory animals for future generations to come,” said Bradnee Chambers, Executive Secretary of the Convention on the Conservation of Migratory Species of Wild Animals (CMS). “Tackling the major environmental issues of our time such as ocean and air pollution, the destruction of ecosystems, loss of biodiversity and climate change is absolutely critical and will benefit both people and wildlife across the planet alike,” said Chambers. In 2005, Mr. Solheim was appointed the Norwegian Minister for International Development. He served in this role until 2007, when he became the Norwegian Minister for the Environment and International Development. With his leadership, Norway’s allocations for overseas development assistance increased to one per cent of gross national income, the highest in the world. The Nature Diversity Act, also passed during Mr. Solheim’s tenure, aims to create sustainable use and conservation plans to preserve Norway’s ‘biological, geological and landscape diversity and ecological processes. In 2007, Mr. Solheim facilitated the launch of the Norwegian International Climate and Forest Initiative. Mr. Solheim’s leadership in the context of this Norwegian driven initiative were pivotal to the creation in 2008 of the UN REDD programme (Reducing Emissions from Deforestation and Forest Degradation). 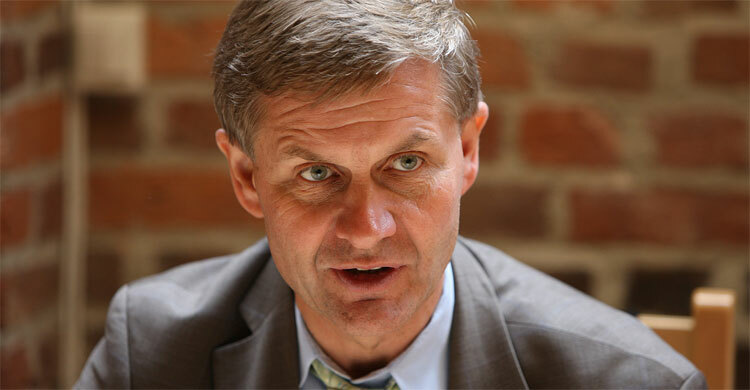 Most recently, Mr. Solheim has served as the Chair of the Development Assistance Committee of the Organization for Economic Cooperation and Development, and the UNEP's Special Envoy for Environment, Conflict and Disaster.